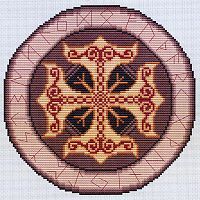 - For those with a norse heritage, nothing could be more fitting than this powerful design incorporating a cross of Thor's hammers surrounded by norse runes. 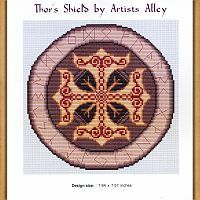 The design measures 107 stitches wide by 106 stitches high. 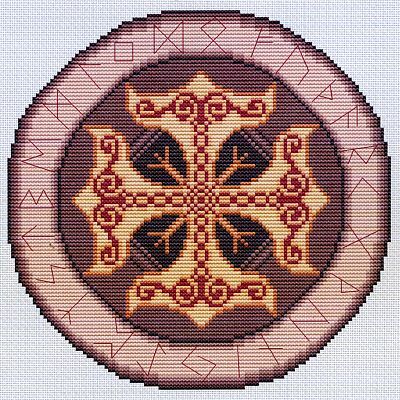 This pattern is for counted cross stitch. It is not a complete kit. You must provide your own fabric and floss. 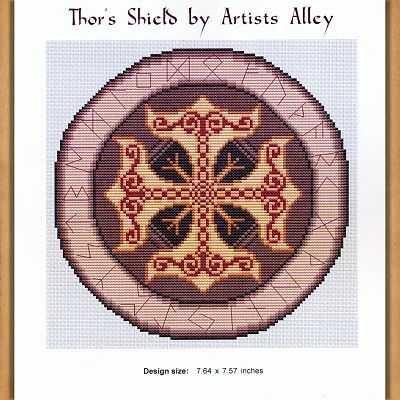 Do you have any other questions about our Thor's Shield Cross Stitch Pattern?